In the fitness world it is said there are 2 New Years. The actual new year and in August when kids return to school. That is the two times gym memberships, trainer fees, supplements and all other fitness related sales spike in a year. Those two times are when the masses of the population recommit to their health and fitness goals. Two times a year, that’s it. Most of the rest of the time fitness takes a back seat. How, as the busy people we are today, do we keep health and fitness constant and not just twice a year? When you decide to make your fitness goals based on health instead of on a “look”. It becomes more long term, a life style rather. To be successful at health and fitness it has to be a way of life, a life-style. Fitness for looks puts people into two catagories, those that diet, count calories, join groups and crash and wish and wish that they can take off X amount of pounds. Then there are the more hard-core folks the ones who count protein to carbs ratio, eat 5-6 meals a day, train 5-6 days a week, rotate muscle groups, do burn-outs and generally never get an out of shape “look”. Both of these groups never take into account the health side of fitness, one group generally has to much fat and the other has little to-no fat, but could be seriously harming their organs. 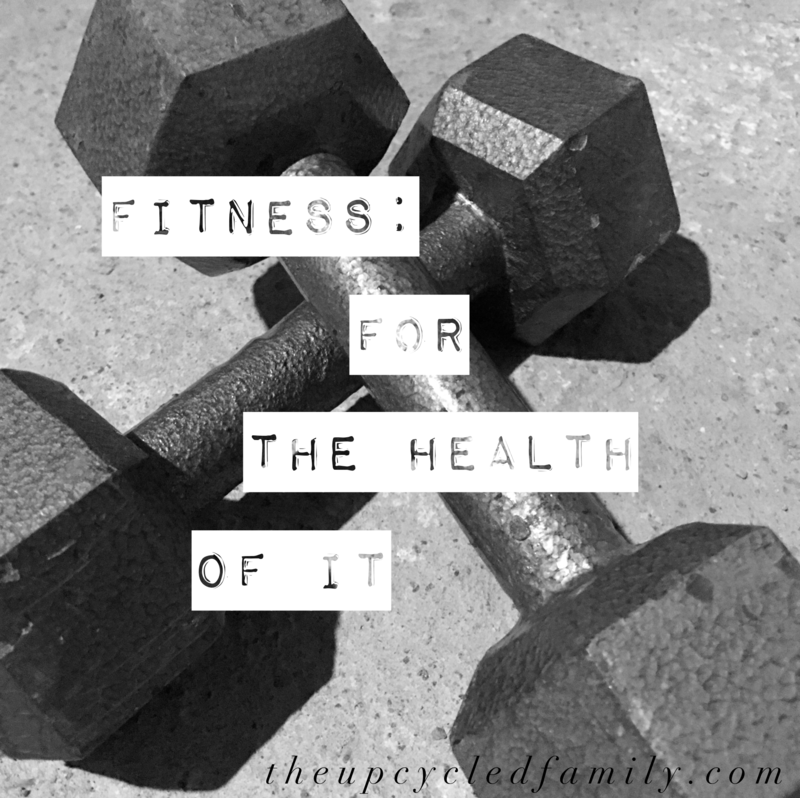 However if you take the health and fitness approach, pair them together. That’s when you get the best of both worlds. When we have a Body not trying to work through being loaded down with toxins, hormone imbalances, or acidic diets, everything works better. The truth is our modern day life styles are to blame for most of our health and fitness woes. What ails us often comes from unsuspecting culprits. The answer isn’t in the pre-packages foods, made by “weight-loss” giants. The truth is those convenient foods are loaded with toxins from both the ingredients and the packaging. Those toxins more often than not land in fat cells, and the body’s answer to keep you from being overloaded with harmful toxins, keep those cells locked down= no fat burning there. The answer isn’t in fad diets. All to often they are not realistic, and when you return to reality weight loss failure sets in. The answer isn’t in pills, counting, measuring, and most other things that promises weight loss and a healthy life. First you start off by being realistic. However I am sure if you are the fitness enthusiast working out 5-6 times a week, and counting protein grams, you are not going to be here looking at fitness for the health of it, from me. So for everyone else look at what your lifestyle is? Do you eat out a lot? Do you drink soda pop? (yes diet pop is still in that category). Do you lead a toxic filled lifestyle? How often do you eat or drink from plastics? How much water do you drink? When you do drink water is it tap water? Have you ever detoxed your body? Do you try to eat raw foods? Do you look to a vitamin to give you most of your nutrients your diet may lack? After you take a good look at the situation. Analyze what you can change today? Read labels, learn what those “weird words” really mean. If you begin to make changes even slowly, but you stick to it, you will be surprised how far you have come in just one year. When you change the goal of living a truly healthy life style, health and fitness will just happen as a by-product. And you won’t have to focus on counting calories or starving yourself. You choose to love your body, it will love you back, I promise. So how about this August as we start back to routines, we look at real health and fitness changes. Trade out “convience” food for home-made, preservative-free, REAL food. Let’s trade toxins for nutrients, let’s trade commercially grow for organic (or better yet homegrown) food. How about we swap tired and exhausted depleted bodies for energy filled healing bodies. Then come the next “fitness spike” in Janurary let see if we aren’t leaps and bounds ahead of the rest of the crowd, that’s starting it all again. Real changes start with REAL changes. If you are a real food lover, want to become one, or just want to make better health decisions, or you have great health experiences already share your experience!